This little kid has a big heart, and now a big plan. What started as a nightly walk in which he would take table scraps to local stray dogs, has now turned into something bigger. 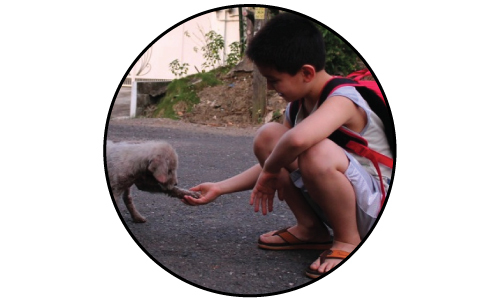 Young Ken has a plan to help more local strays in his home of the Philippines, and now you can help him by contributing to his plight. Ken even has a website (which looks like he very well created himself) – in his own words, and with an endearing lack of capitalized letters. Help Ken right here. And you can keep up with his story on his website, where he writes about his daily experiences with the dogs. 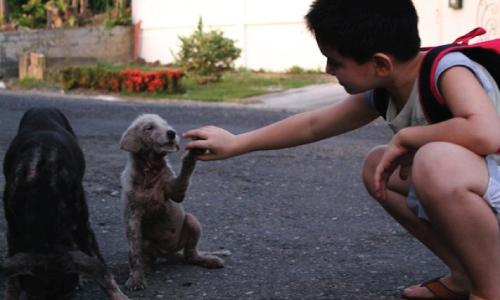 (Some of the pups have mange, and while contagious to fury friends, is completely treatable.) Read the full story here.